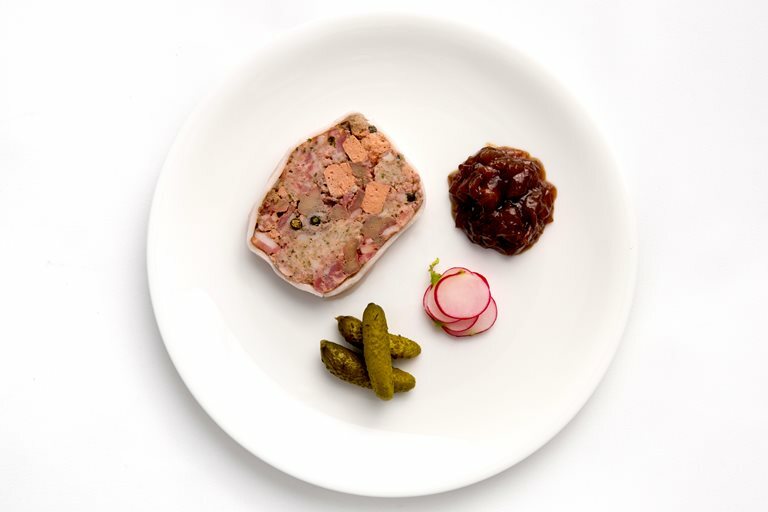 Making terrines and pâtés is extremely satisfying – it’s a great pleasure to turn them out and cut the first slice. Smooth parfaits of foie gras and chicken liver are wonderful, of course, but a good chunky pâté such as this one is hard to beat. Don’t worry too much whether your guests like calves’ liver or not – Bryan Webb’s wife Susan doesn’t but this recipe is one of her particular favourites.